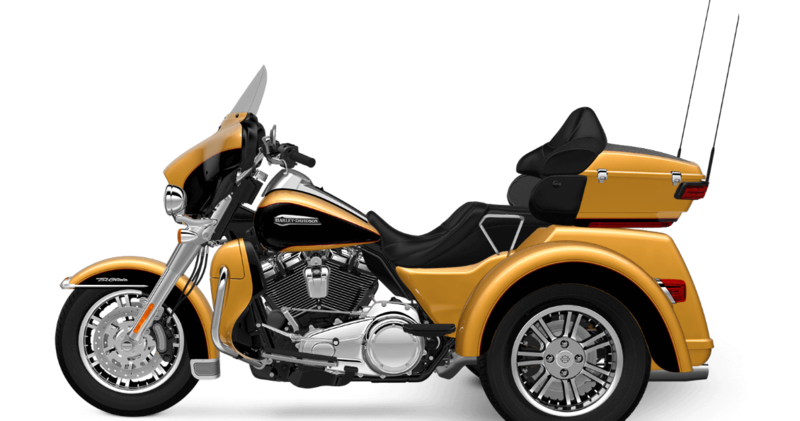 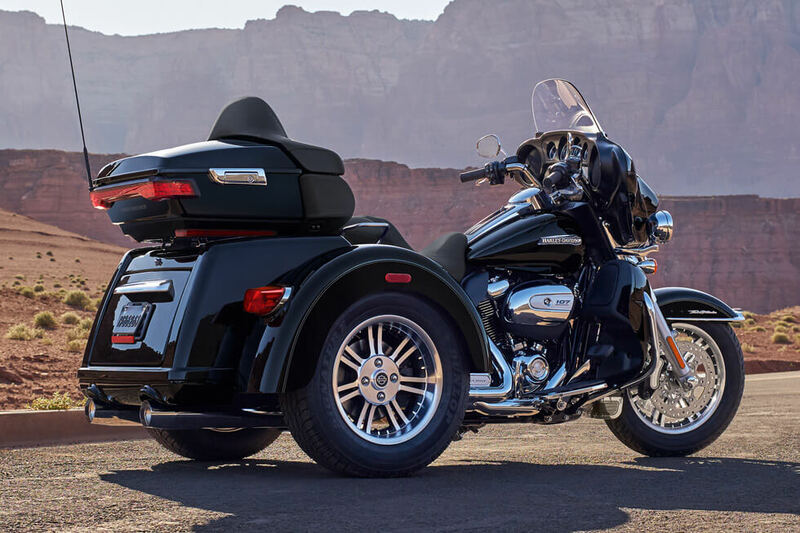 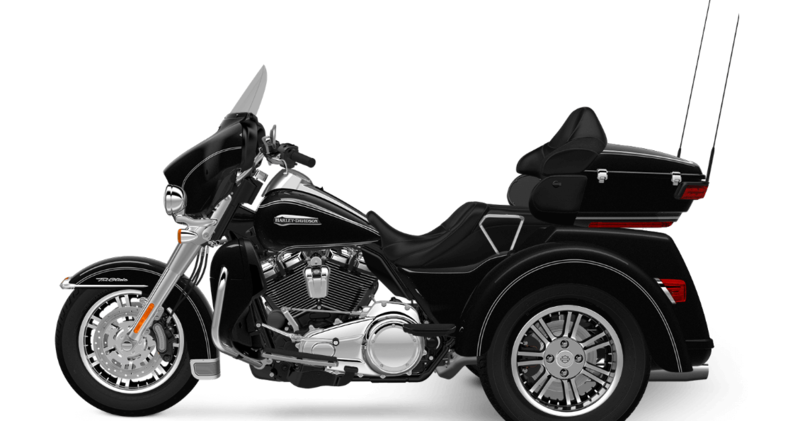 The Harley-Davidson® Trike model lineup are perfect for California riders who want more comfort, more capacity, and more confidence on the road. The Tri-Glide® Ultra is the fully loaded touring trike from Harley-Davidson® and it’s available now here at your local Los Angeles dealer Riverside Harley-Davidson®. 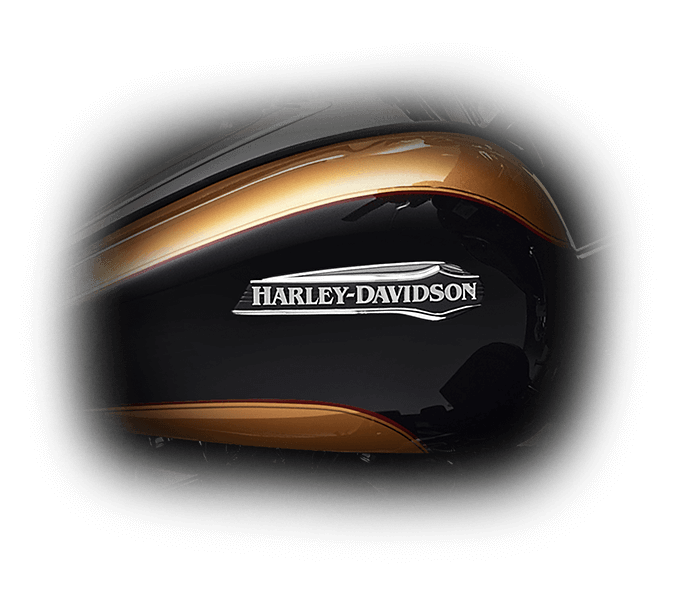 For 2017 it’s got a new upgraded more powerful v-twin and it should satisfy any rider in the Inland Empire, so come visit us today! 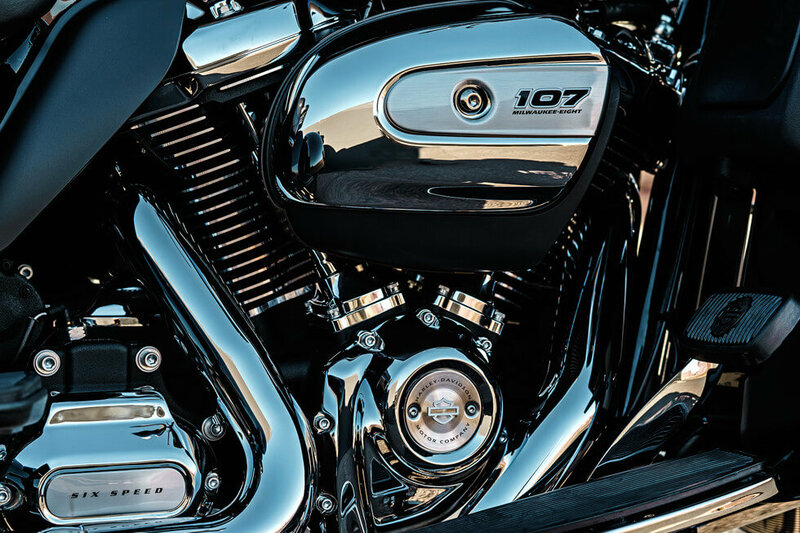 All-New Milwaukee-Eight™ 107 Engine: Powering the new Tri-Glide® Ultra is a brand new v-twin that delivers more torque for improved passing power and merging. 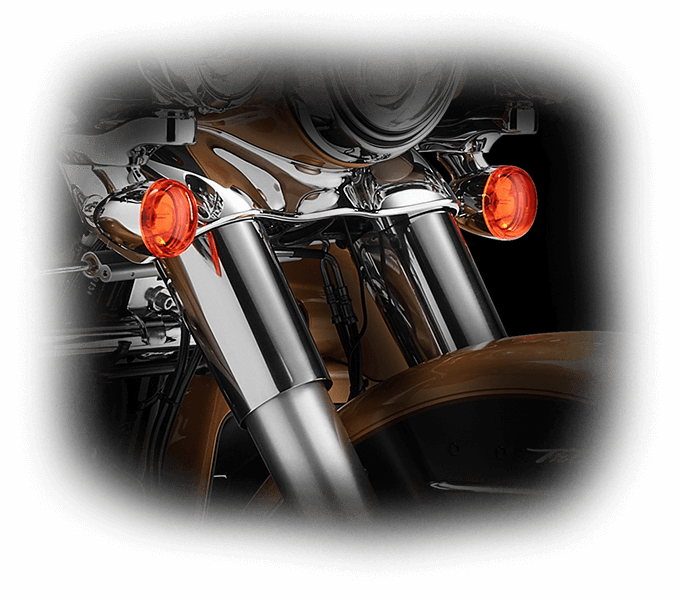 You’ll never want for more muscle with the Milwaukee-Eight™. Luckily, it’s also efficient, smooth, and cool, for better long haul rider comfort. Milwaukee-Eight™ 107 Engine Overview: The new Milwaukee-Eight™ is everything an experienced motorcyclist would want. It provides more power and more efficiency thanks to fuel injection, a higher compression ratio, four valves, and two spark plugs. 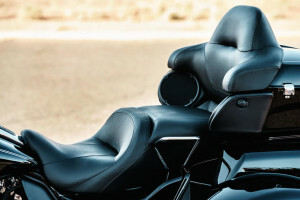 It also provides a smooth ride and cooler riding temperature thanks to upgraded cooling system and counter-balancing. It even delivers 50 percent more charging power, so you can keep your phone, GPS, tablet, and any other accessories charged up while you’re out there on the road. Dual Disc Front and Rear Brakes: With two brake rotors and calipers both front and rear, you get all the stopping power you could ever want. 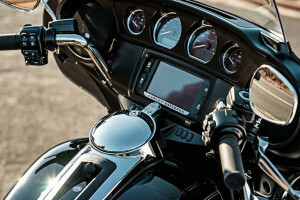 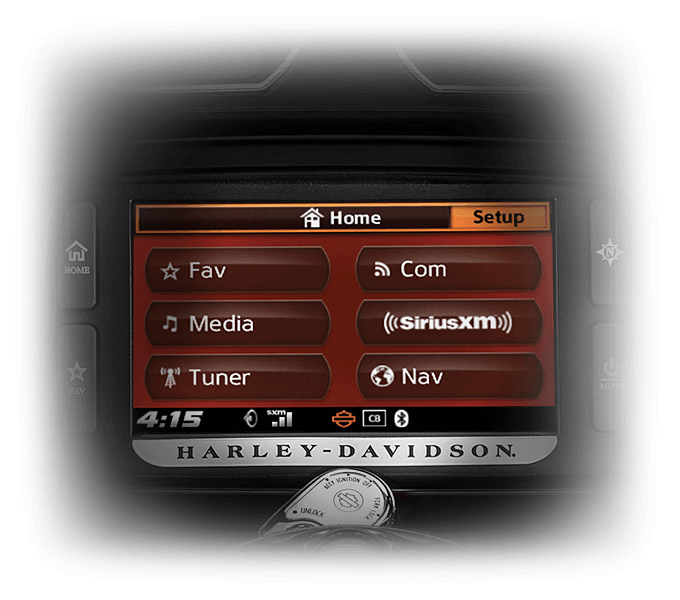 Voice Recognition and Bluetooth: With Bluetooth connectivity and voice recognition, it’s easy to take advantage of your smartphone features even when you’re on the road. Wide Set Handlebar: You can sit up, spread your arms, and relax, because these wide set handlebars put you in the perfect position to ride for mile after mile. 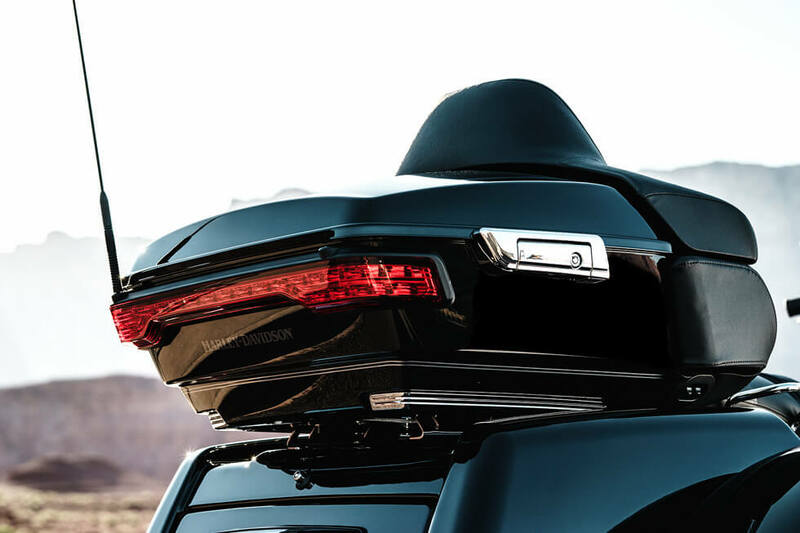 Trunk and King Tour-Pak® Storage: With a total cargo capacity of 6.7 cubic feet and up to 80 pounds, the Tri Glide® is capable of carrying any luggage you need to take with you. 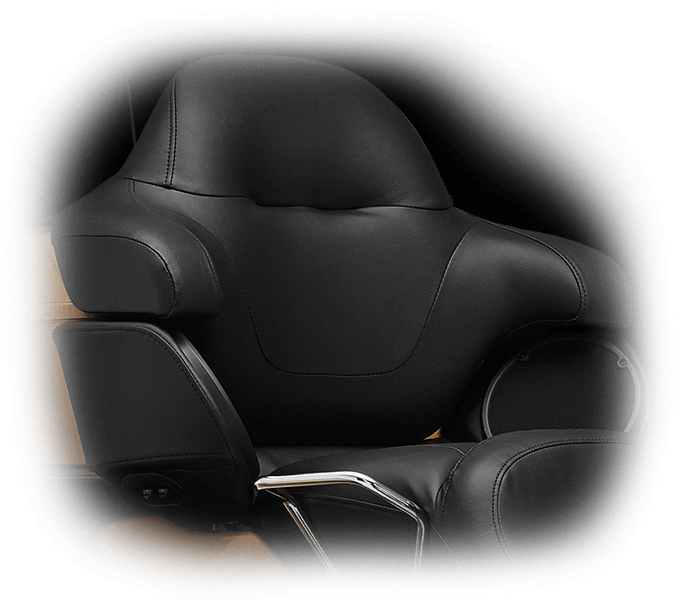 Cruise Control: You can definitely appreciate cruise control when you’re hitting the road and covering a lot of territory. 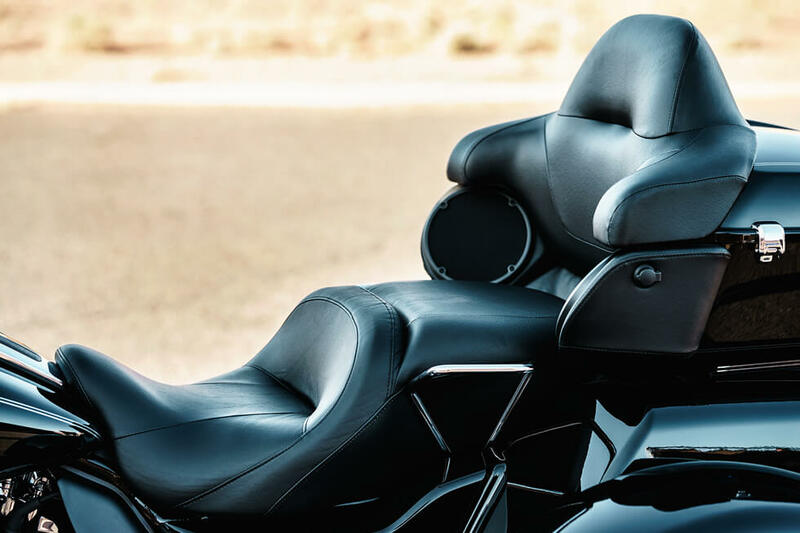 This standard feature will help you get where you’re going with less fatigue. 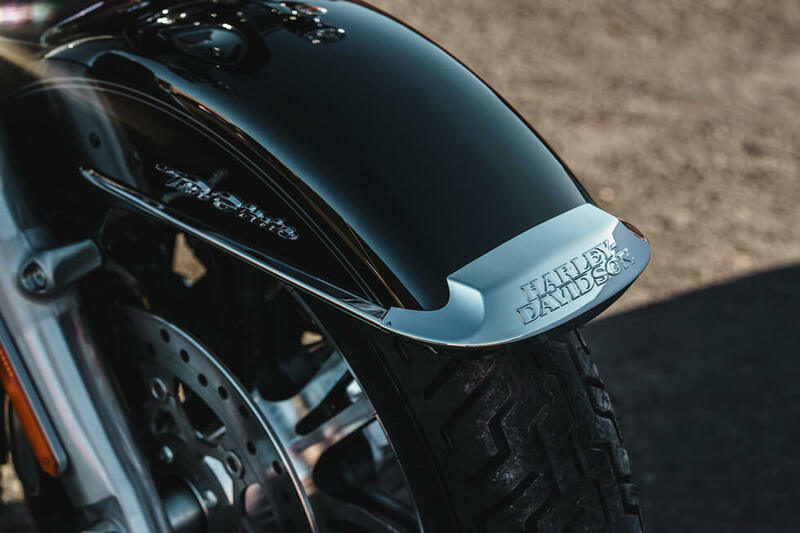 Pure Harley-Davidson® Styling: The Milwaukee-Eight™ turns head with gleaming chrome rocker covers and racing scoop style air cleaner, paired with custom badging and black powder coated cylinders. High Flow Airbox: The high flow airbox does a fantastic job of sending air to the v-twin, but it also looks good doing it with bold chrome finish and custom badging.